Mitchell Gold + Bob Williams is an internationally acclaimed home furnishings company which manufacturers and engages in the wholesale and retail sale of home furnishings and accessories, including upholstery, case goods, lighting, rugs, objects d’art, and other fine accessories. Their furnishings are often featured in magazines, on television, in fine hotels, and in other luxury establishments. 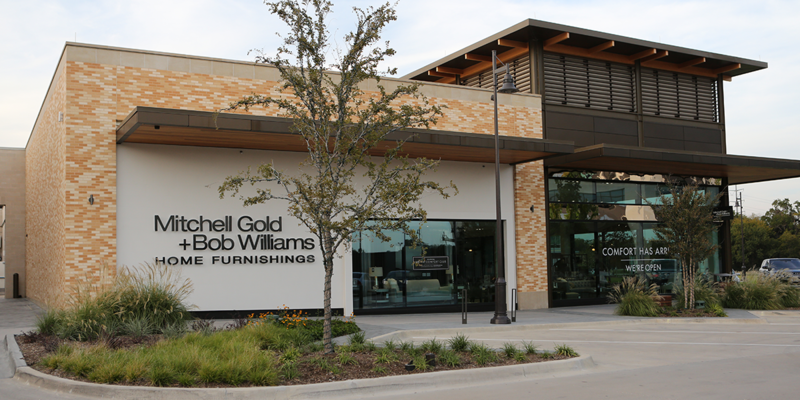 At the heart of this project is the growth of our Mitchell Gold + Bob Williams Signature Stores throughout the country. These projects involve architectural services for the build-out of a Mitchell Gold + Bob Williams Signature Store including approximately 12,000 -15,000 sq. ft. of commercial retail space.